Beautifully designed websites are great – but beautiful and optimized WordPress sites are even better. We can not only design a great looking site to compliment your brand – we’ll make sure its built on the strongest foundation on the planet and optimized to convert visitors to leads. Don’t let the ease of the Internet fool you. It might be easy to find your website, but it’s just as easy to find someone else’s. So you have to stand out. In the modern world – appearance is everything. A website that attracts people to it is clean, simple to use and promotes confidence in the user that you are a good company to do business with. 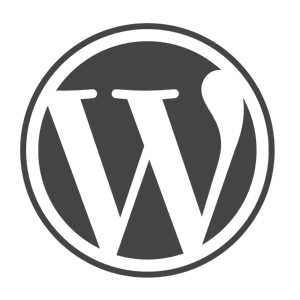 We believe WordPress is the easiest to content management system on the planet! Its continues to allow us to build strong foundations for our customers so as we help them succeed with our Inbound Marketing strategies – we can scale as needed. The websites we build are great looking, optimized for speed, structured for great usability and compelling for visitor to lead conversions. The single most important aspect to keep in mind when building a site is to keep it simple. People are not on your site for a wild goose chase. Don’t require visitors to have to think about where they need to go and how to get there. Bottom line – if people can’t find what they are looking for immediately, they will give up and leave your website – and statistics have proven that they will never return. This means you have one opportunity to make an impact. It’s super easy to manage – if you know how to use Microsoft Word – consider yourself an expert! The folks over at Automattic.com got their game on. It’s very scalable and highly customizable via tens of thousands of plugins (e.g. ecommerce, membership engines, form builders, etc). It supports the most robust blog engine on the planet – and that is key to your online success as content is king. It’s very secure and hacker proof – which is extremely important as you just shouldn’t have to experience the alternative. Because it supports the latest technologies – we can build mobile & tablet ready websites that include full lead capture & nurturing system compatible with most contact relationship management systems. Schedule a free assessment with one of our marketing experts.